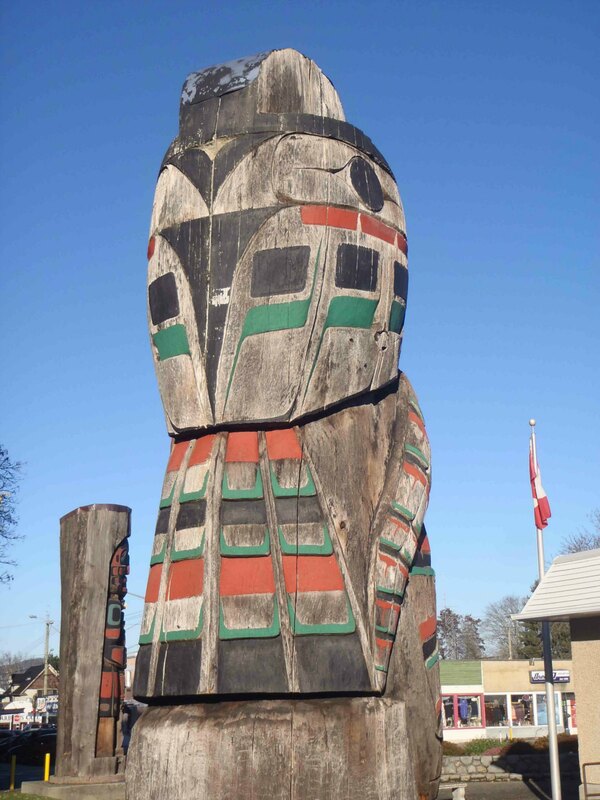 The Peaceful Boundaries pole was carved in 1988 by Norman John. 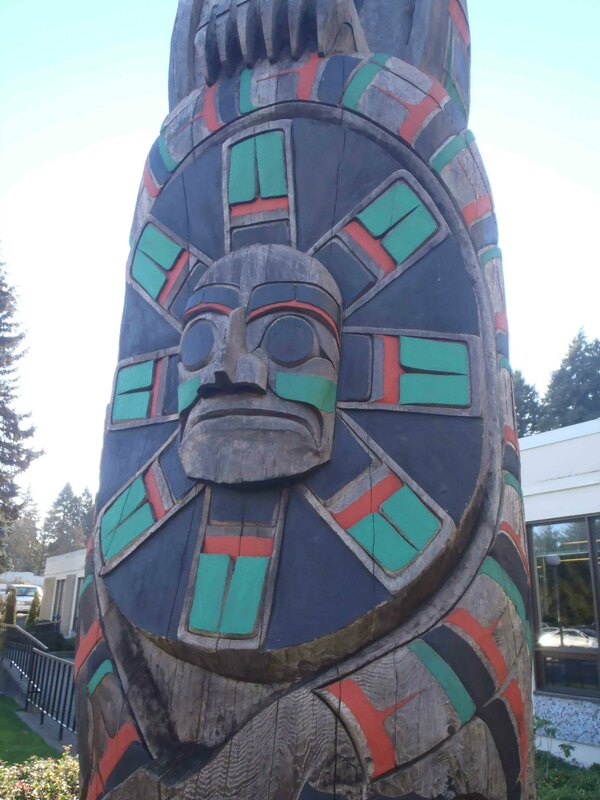 It stands 4.0m (13’1″) in height and is displayed outside the B.C. Provincial Courthouse on Government Street, near Jubilee Street. 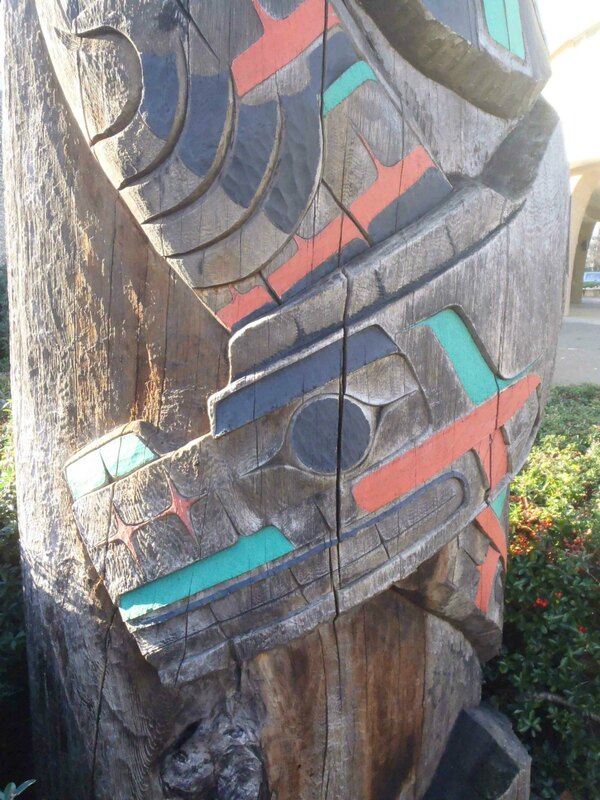 Peaceful Boundaries pole, outside Provincial Courthouse, Government Street, Duncan, B.C. 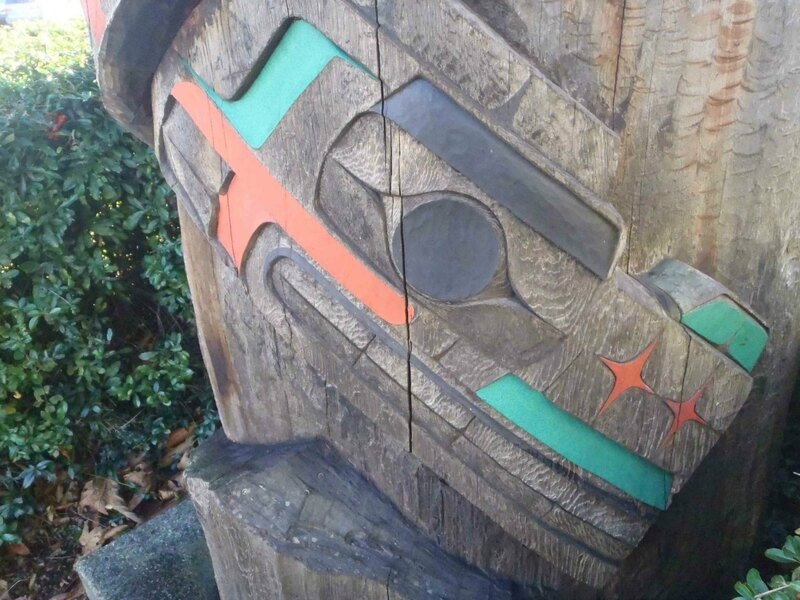 Peaceful Boundaries pole, Raven figure detail, outside Provincial Courthouse, Government Street, Duncan, B.C. 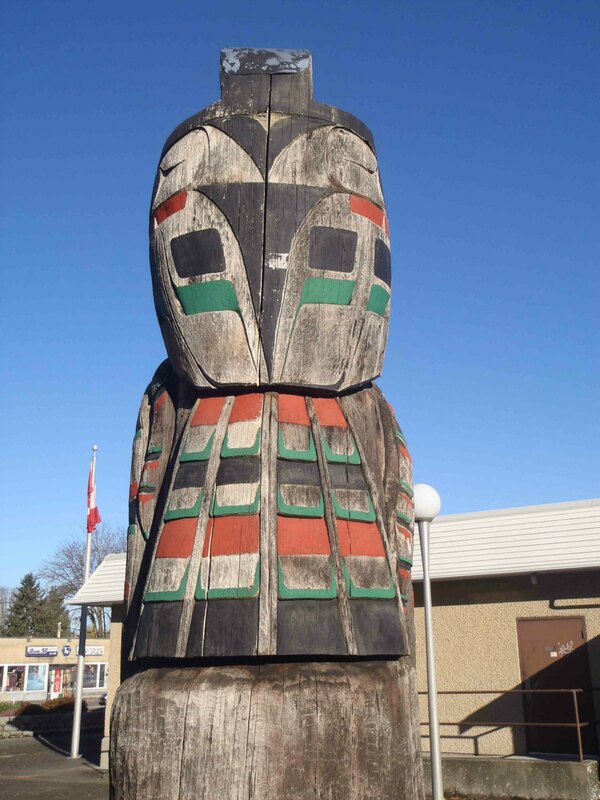 Peaceful Boundaries pole, Maquinna Sun Mask figure, outside Provincial Courthouse, Government Street, Duncan, B.C. 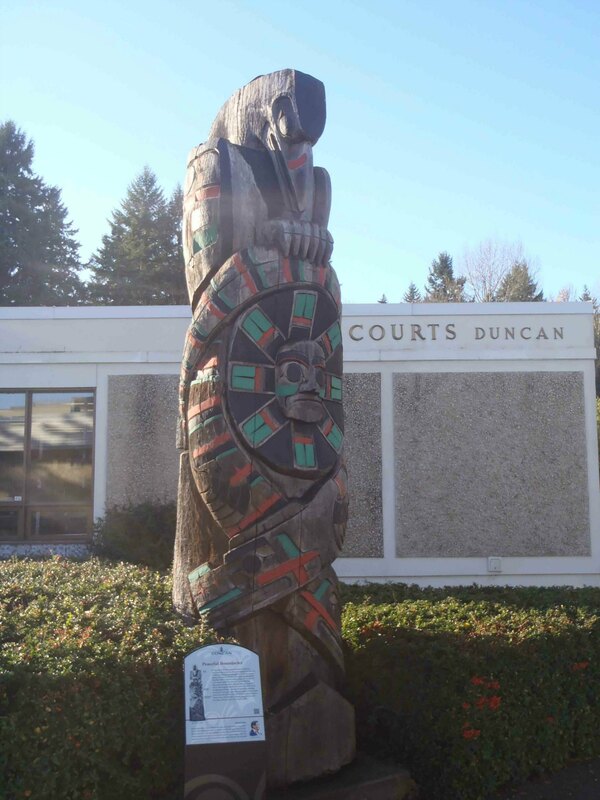 Peaceful Boundaries pole, Sea Serpent figure, outside Provincial Courthouse, Government Street, Duncan, B.C. 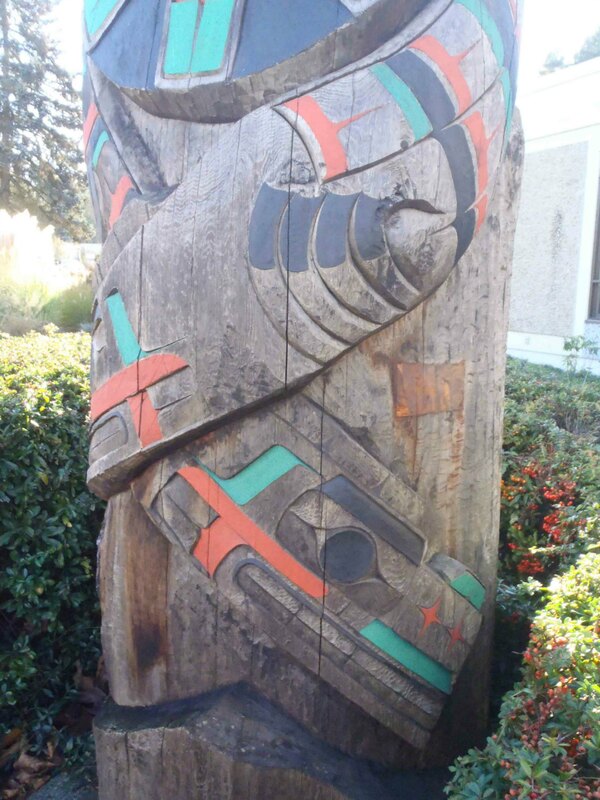 Peaceful Boundaries pole, Sea Serpent figure detail, outside Provincial Courthouse, Government Street, Duncan, B.C.